This year, H.H. 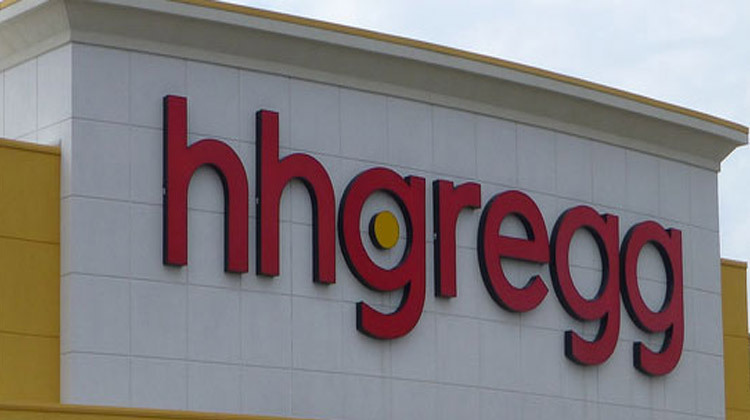 Gregg stores will be closed on Thanksgiving, but consumers can still shop the sale online. Doors open at 7 a.m. Black Friday, and the sale continues through Saturday. The 2016 H.H. Gregg Black Friday ad is finally here! We’ve searched through 16 pages of major appliances and electronics to help you find the best deals. TVs are among the most heavily featured items. H.H. Gregg is selling the LG 55-inch 4K Ultra HD smart TV with a free Blu-ray player for $499.99 ($250 off) and the Samsung 40-inch 1080p LED HDTV for $219.99 ($210 off), to name a couple of deals labeled doorbusters in the ad. 33% off the Amazon 7-inch 8GB Fire tablet ($33.33) (doorbuster). $400 off a Maytag or Whirlpool washer-dryer set ($399.99 each). $50 off PlayStation 4 “Uncharted 4: A Thief’s End” and Xbox One S “Minecraft” favorites or “Battlefield 1” bundles ($249.99 each). $300 off the Canon 18-megapixel Rebel T6 digital SLR camera with 18-55 mm and 75-300 mm lenses ($449.99) (doorbuster). $40 off the Amazon Echo Bluetooth speaker ($139.99) (doorbuster). We compared the Amazon Echo vs. Tap if you need helping deciding. $130 off the HP 15.6-inch Intel Core i5 laptop ($399.99) (doorbuster). $50 off the 32GB Wi-Fi iPad Air 2 and the 9.7-inch 32GB Wi-Fi iPad Pro ($349.99 and $549.99, respectively). Up to 70% off select small kitchen appliances. The retailer is advertising its lowest prices ever on select items, but quantities are limited and there’s a one-per-customer limit. 55-inch Seiki LED streaming HDTV for $298 (45% off). 16GB Wi-Fi iPad Air 2 for $399.99 ($100 off). Roku streaming player for $19.99 (60% off). $900 to $1,400 off Samsung refrigerators. $250 off Maytag washer-dryer sets. Sharp 55-inch LED smart TVs for $488 ($261 off). 50% off an LG 2.1-channel home theater soundbar with wireless subwoofer ($139.99). Up to $100 off laptops, including the 11.6-inch Samsung Chromebook 2 for $199.99 and the 15.6-inch Asus touchscreen flip laptop for $399.99. If you like shopping H.H. Gregg, you’ll definitely want to check out the Black Friday deals at these similar stores: Best Buy, RadioShack and GameStop.